What Is Oppositional Defiant Disorder? : How Is Oppositional Defiant Disorder diagnosed? While there is no single test that can diagnose Oppositional Defiant Disorder, a mental health professional can determine whether a youngster or teenager has the disorder by assessing the youngster’s symptoms and behaviors and by using clinical experience to make a diagnosis. Many moms and dads first call upon the youngster’s doctor for an evaluation. This evaluation typically begins by compiling a medical history and performing a physical examination. During the evaluation, the youngster’s doctor will look for physical or other mental health issues that may cause problems with behavior. If the physician can’t find a physical cause for the symptoms, he may refer the youngster to a psychiatrist or a mental health professional who is trained to diagnose and treat mental illnesses in kids and teenagers. A psychiatrist or a qualified mental health professional usually diagnoses Oppositional Defiant Disorder. A mental health professional will gather information from moms and dads, educators, and daycare providers as well as from the youngster. Gathering information from as many people as possible will help the physician determine how often the behaviors occur and where. It also will help her determine how the behaviors affect the different areas of the youngster’s life. Answering these questions will help a mental health professional determine whether the youngster or teenager has developed Oppositional Defiant Disorder or is responding to a short-lived, stressful situation. Assessment tools (e.g., rating scales, questionnaires) may help the youngster’s physician measure the severity of the behaviors. These tools also may assist in establishing a diagnosis and tracking progress once treatment begins. In addition to establishing a primary diagnosis, the physician will look for signs of other conditions that often occur along with Oppositional Defiant Disorder (e.g., ADHD, anxiety, mood disorders). The physician also should look for signs that the youngster has been involved in bullying (as either the victim or perpetrator). Involvement in bullying often is a sign that the youngster is at risk for aggression and violence. Like many mental health disorders, Oppositional Defiant Disorder is not always easy to accurately diagnose. Open communication among the mental health professional and the moms and dads and youngster can help overcome the difficulties diagnosing this disorder. 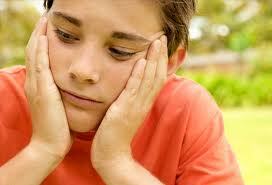 For example, some kids see their behaviors as justified and are unmotivated to change. Also, some moms and dads can become defensive when questioned about their parenting style. Having the parent and the youngster view the mental health professional as an ally can help.